Oppo, the Chinese smartphone maker is all set to launch a new smartphone called Oppo Reno in the global market on April 10. Ahead of its launch, the AnTuTu listings has surfaced online that revealed some key features and specifications of the phone. The listing reveals that the phone will be powered by Qualcomm Snapdragon 710 SoC, which will be mated to a 6GB of RAM. 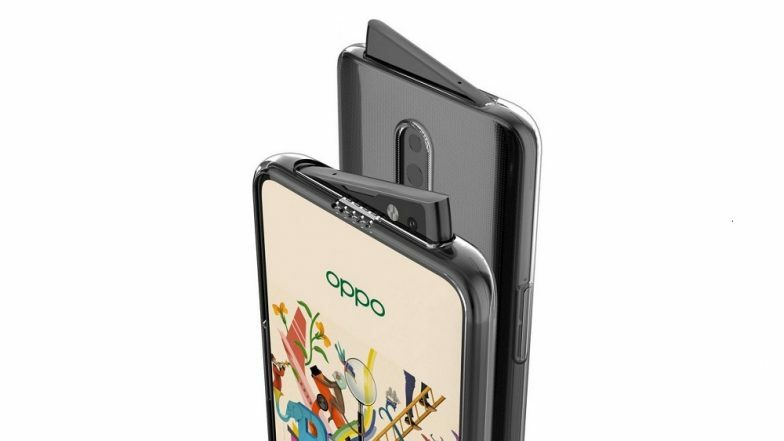 Oppo's Upcoming Reno Phone Hides Selfie Camera in Wedge Slider. Moreover, the important details of the phone were revealed through TENAA listings that surfaced online previously. The listing also indicates that the phone will be shipped with FHD+ display screen. The render images of the case also reveals the design of the smartphone indicating notchless display and a triple rear camera system. New Oppo Smartphone Explodes in Man&#8217;s Pocket While Riding Scooter in Hyderabad; Chinese Phone Maker Says Incident 'Unfortunate'. 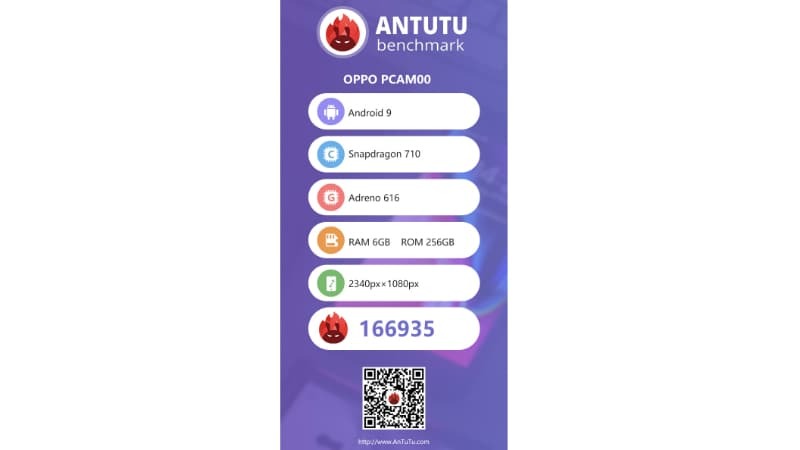 Going by the AnTuTu listing, the new Oppo smartphone is listed with a model number - PCAM00. Interestingly, this is one of the model numbers that was seen on Chinese regulator's TENNA site previously. It also highlights that the phone will run Android 9.0 Pie and will sport 256GB of internal memory. The phone reportedly will sport a FHD+ display with resolution of 2340 x 1080 pixels. However, the screen size of the phone is not yet revealed. The handset is expected to come with a 10x hybrid optical zoom technology that the Chinese phone maker revealed last month. If the market reports and render images are to be believed, the new Oppo Reno could sport a notchless display screen along with a vertically stacked rear camera. It is also tipped that the phone will feature a pop-up selfie camera.